All women with a family history of breast cancer should have a MRI breast screening examination annually. It is recommended that MRI breast screening commences five (5) years before the age at which the relative was diagnosed with breast cancer. 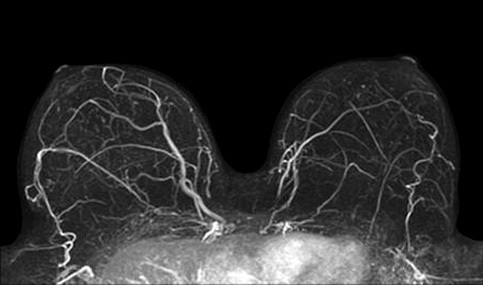 MRI of your breast involves lying on your stomach in the MRI Tunnel for approximately 30 minutes. Intravenous contrast media will be injected which optimises the scan. This will be administered via a drip in your arm or hand. If you are claustrophobic safe intravenous sedation can be given.